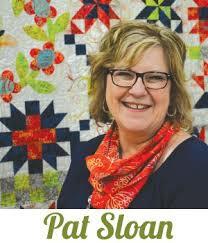 It is off to the Olde World Quilt Shoppe in Cave Creek, AZ I go!!! I am spending today and tomorrow in one of my favorite shops and hope I get to meet a few of you in the area! The last time I was here I was gobsmacked...how in the world did they know what I love in the quilting world??? but I know we will be back someday. But, before we left we visited the local museum to find out who and where the gold was found??? So far the Dutchman's gold is still up there somewhere waiting to be found. I loved all the hand drawn maps by different hunters hanging in the museum. 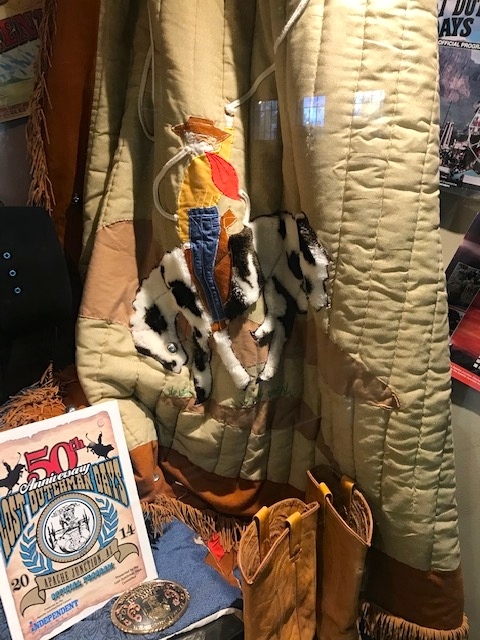 And, there was a beautiful quilt which was donated to the museum and beautiful preserved behind a plexiglass frame. A Log Cabin quilt made in 1870 and donated by Mr. & Mrs. Kukuk of Gold Canyon is made up of all kinds of fabrics...not a Moda in there, LOL. 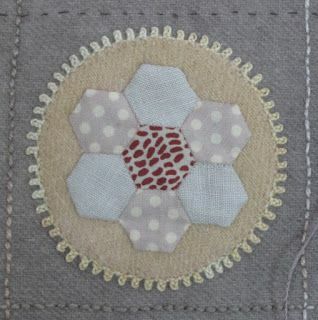 But you know a quilter painstakingly chose and placed each piece. I am off to have a cup of coffee and then do the things! Enjoy your visit to Cave Creek. I’m sorry you had to leave the Superstition Mountains so soon. Those quilts look wonderful. 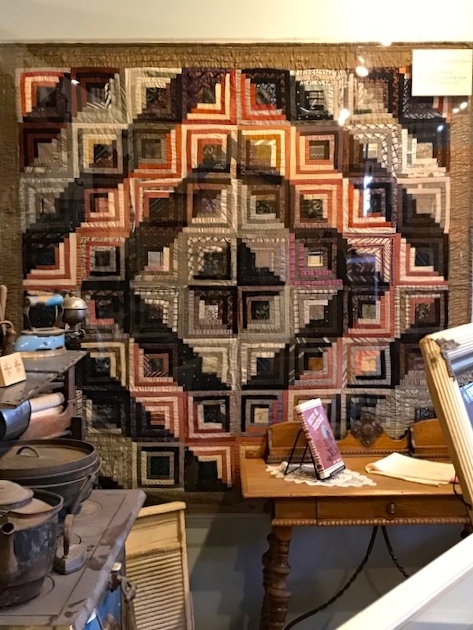 Have fun stitching at Olde World Quilts. 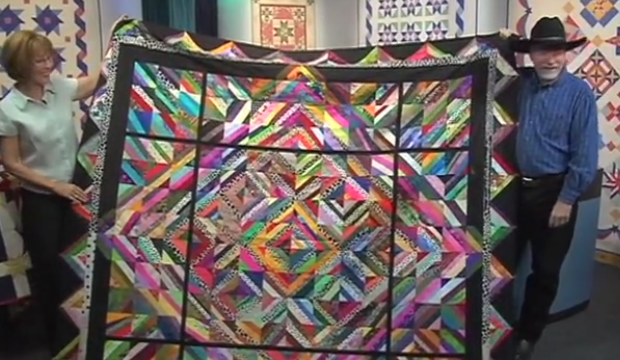 oh there will be a video on Quilt Roadies for sure! Looking forward to the video of your visit. That's a shop I've not been to, so shall have to put it on my list for next time we're in AZ. Hope you had a great time. most definitely a bucket list shop!!! Yay, can't wait for the tour! 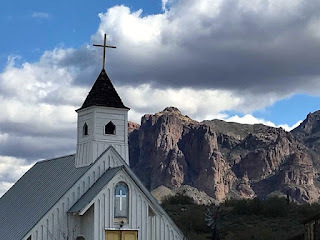 So sorry you were not able to find the Gold on Superstition Mountain. 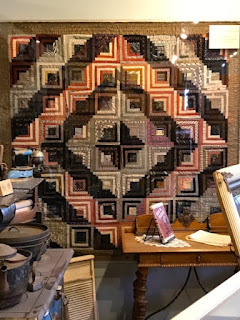 Just think of all you could have purchased at the Old World Quilt Shoppe and not gone over your budget!! Looking forward to your video of your search for gold and quilt shops. LOL...yeah after the first day at the shop I am in the hole!!! We were in Arizona about 4 years ago and it just so happened that a shop hop was going on. Of course, I had to participate. (My husband was so great driving me to every shop). One of the shops was the Olde World Quilt Shoppe. It was one of my favorite shops. Hope you having a great time Anna. Having a wonderful time stitching with the gals but wish the weather was warmer! !